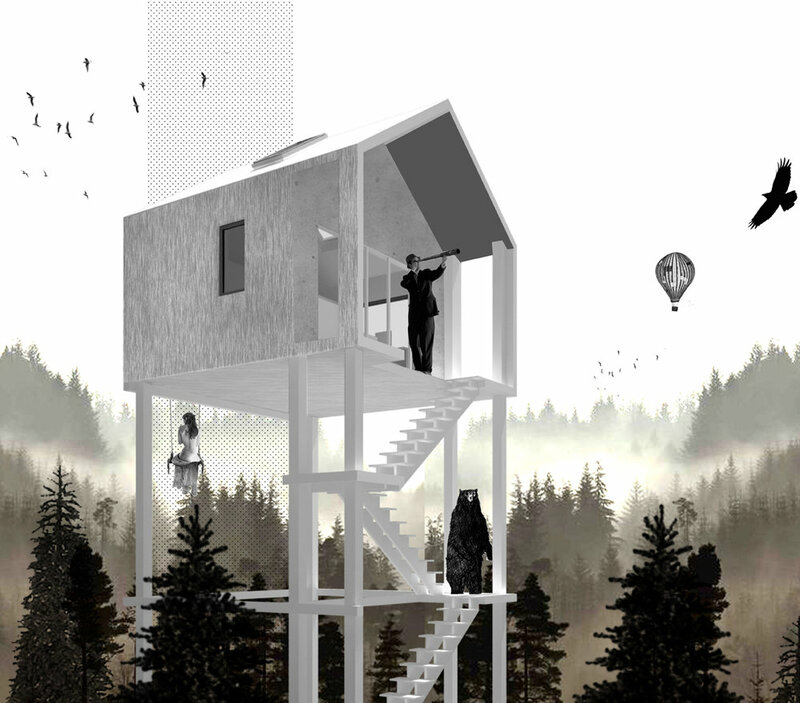 From my master thesis for the University of Thessaly (Greece). This is a work about exploring and challenging domestic space. My name is Bakavou Vasiliki and i was born and raised in Greece.I studied Architecture at Democritus University of Thrace and I received my master in Architectural Design at University of Thessaly. My work explores the blurred boundaries between living and working space and it oscillates between the realistic and the imaginary.My interests move from graphic design to photography. Due to the evolution of technology, which brought the concept of working from home, flexibility on working hours, great reduction of the necessary working space and easier transmutation of any space to a workplace, the traditional notion of “home” gets radically altered. It is transforming from a detached shelter to a versatile, adjustable space. In such a system the limit between the private(live) and the public(work) sphere becomes increasingly blurry, causing them to co-exist in several occasions. 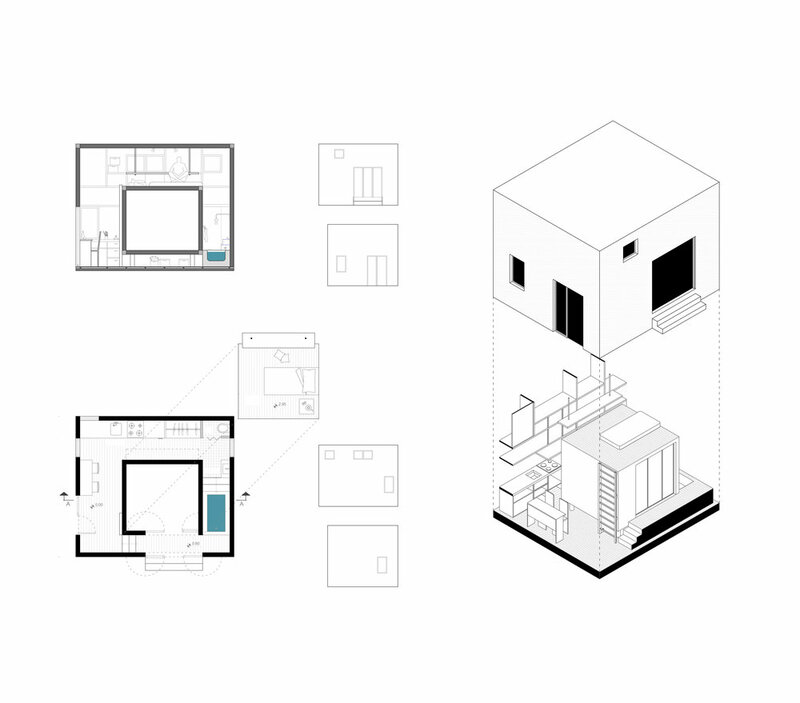 The live-work merge in one unit, is not simply the addition of an extra room (working space) in the house (living space) since the house is a complicated system of human psychological aspects, the natural environment and the social changes. It is required a comprehensive remodeling. 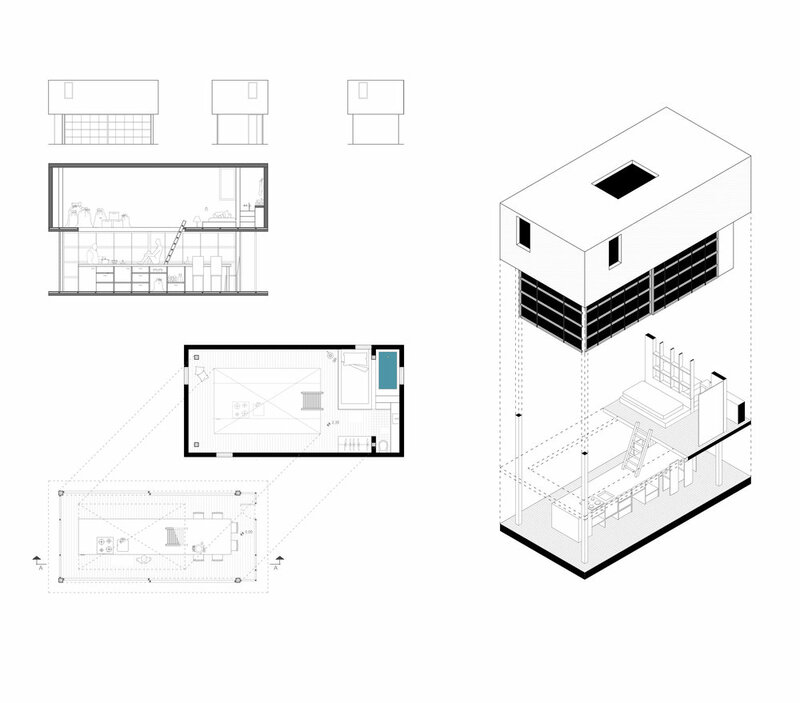 The live/work typology converses with existing conceptions of home and private life, private and public space, leading to emerging typologies and '' hybrid '' interpretations of house. 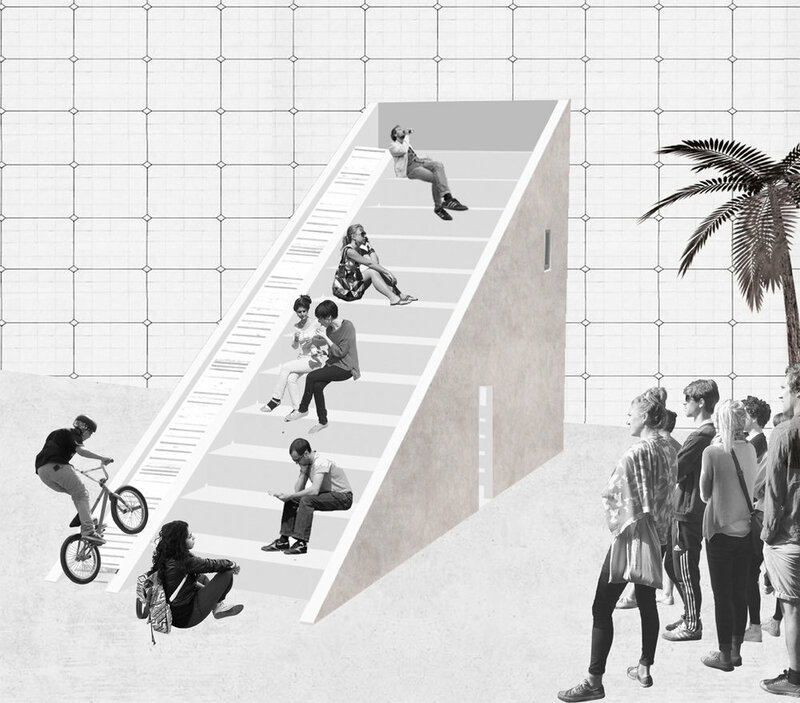 The goal of this project is to explore possible transformations of domestic space when the working parameter penetrates in home. Seven professions stand as starting points for new units while each unit attempted to incorporate a generalized program so as to have a broader reference. At first, the translation of the main attribute of each profession to space and, afterwards, it’s generalization to a broader type that accommodates more than one profession is attempted through a seemingly “simplistic” description. Eventually, each one of the seven units is based on the following concepts: i) observation (a farmer, who needs to oversee the fields and to observe the changes on the weather conditions) ii)isolation (a drummer, who needs sound isolation in order to be able to work from home),iii) organization (a manufacturer of artifacts, who needs space for storage of materials and simultaneously a showcase for the products), iv) collaboration (a cook who needs a desktop for the food preparation and a surface to share food), v) free plan (a yoga teacher who needs an ‘’ infinite ‘’ surface for moving and doing exercises), vi) congregation (a teacher who needs a gathering space for the students), vii)separation (a physiotherapist who needs the element of water, apart from the main workplace, as a tool for working from home). 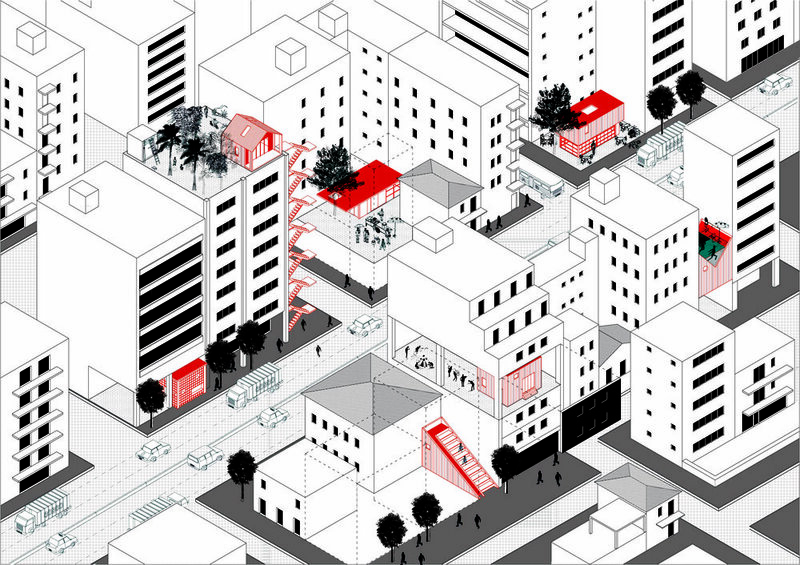 Finally, except of the obvious idea that these units could exist autonomously in different locations all over the world, this project attempts to provide a solution for the location in the urban fabric. The idea of the parasitic growth of these units in unkempt, derelict places inside an urban web (such as rooftops, inside the empty buildings, pilotis and arcades, uncovered plots or between the existing buildings) is examined. The units are appeared as urban pests in the city while the selected positions varies depending on the requirements of each unit. In a future imaginary scenario, even if the city buildings collapse these units could create a new urban type but in vertical development –memory of the current type of Greek polykatoikia - creating new, different urban conditions arising from the relationship between them.